Summer is right around the corner. With March approaching so I was thinking about the clear blue sky and the atmosphere of the summer vibe. 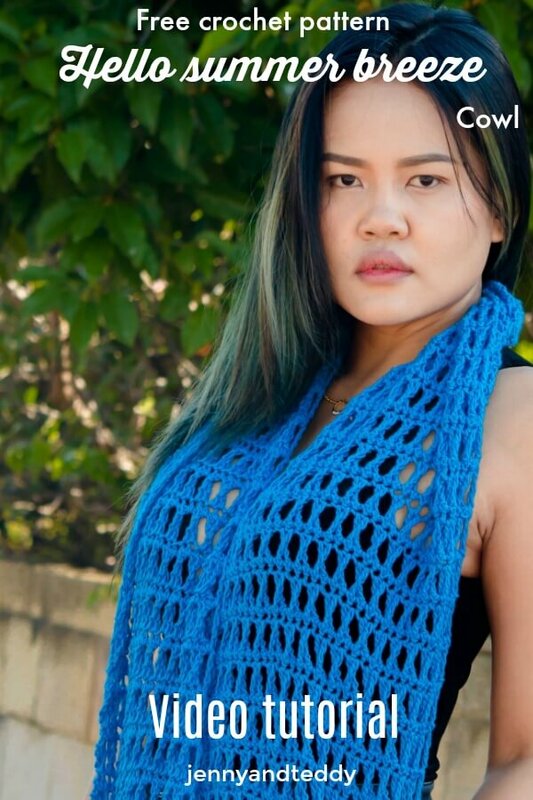 This is such a fun and simple crochet cowl to make. 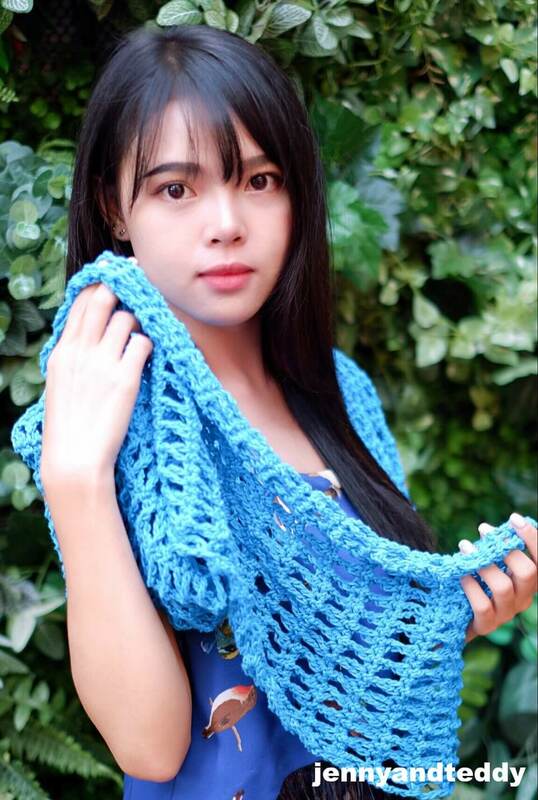 I called them ” Hello summer breeze cowl” free crochet pattern. 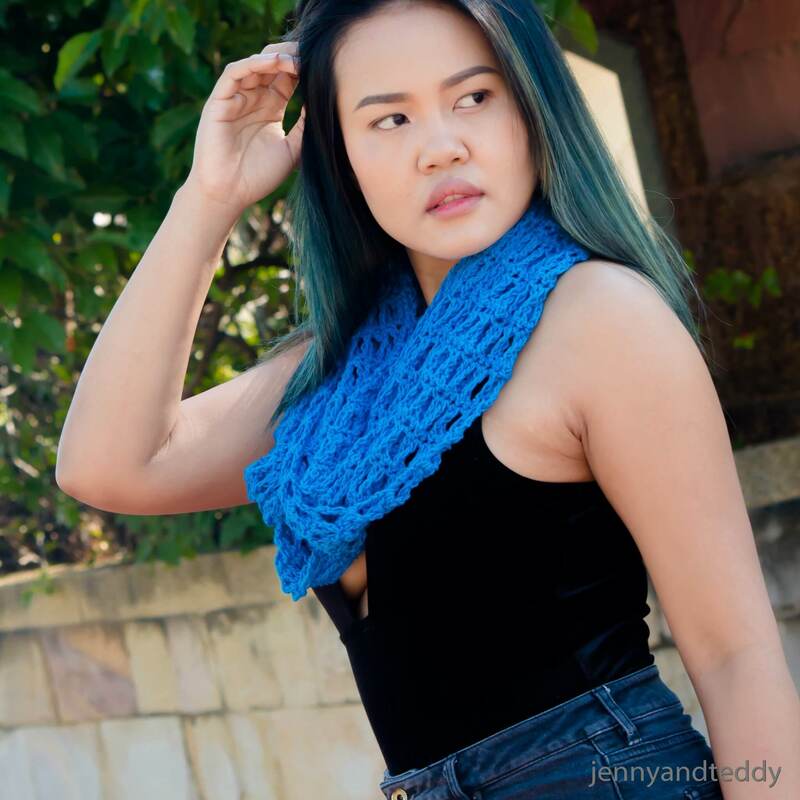 This breezy cowl is light weight with cotton love yarn with the triple crochet stitch and the big crochet hook which will create some kind of lace so it will let the air through out the cowl They are absolute perfect for spring or summer. Oh I am so in love with the look and how comfy they are. I also make a Video tutorial for you as well. Hello summer breeze cowl instruction. Row1. sc in the next chain from hook, then sc in each chain across until the end of the row, turn. Row2. 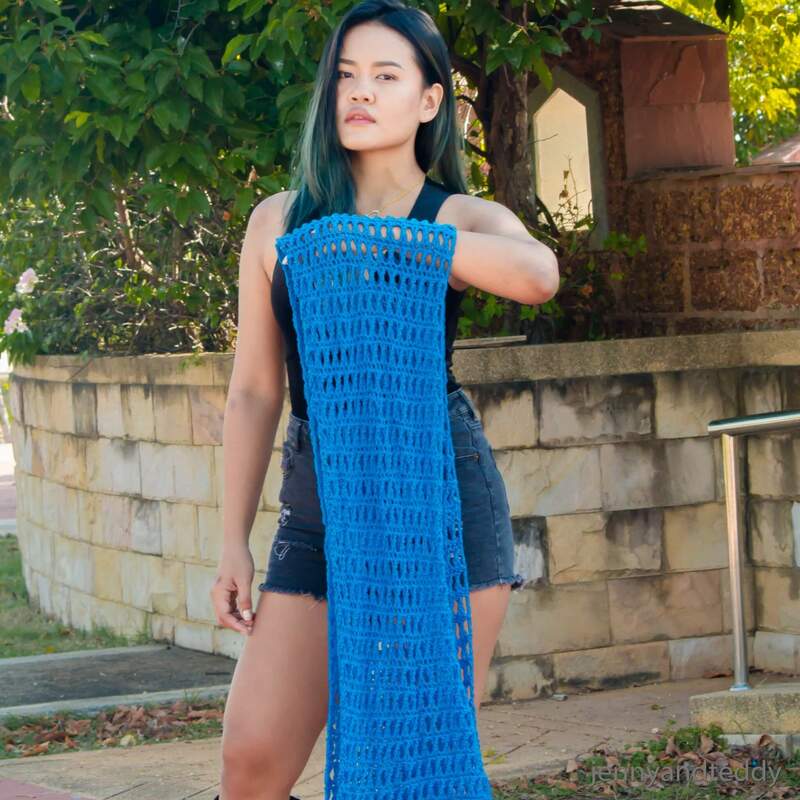 ch3, make criss cross triple crochet stitch in each st across until the end of the row, in the last st make 1 triple crochet and ch1,turn. Row3. sc in each space and across until the end of the row, turn. Repeat row 2 and 3 until piece measures approximately 68 inches long and Fasten off. Weave in all ends with yarn needle and connect each end with whip stitch or your prefer method to create the circle. 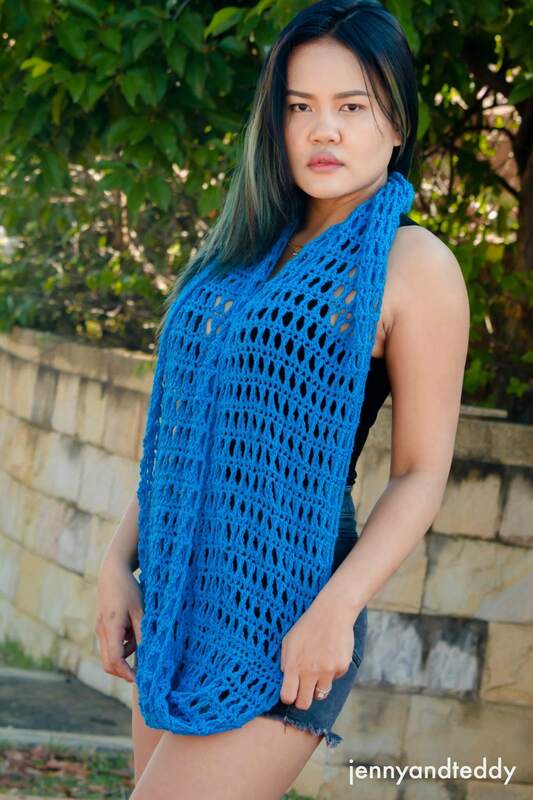 Now you have your very own Hello summer breeze cowl. hi Jane! 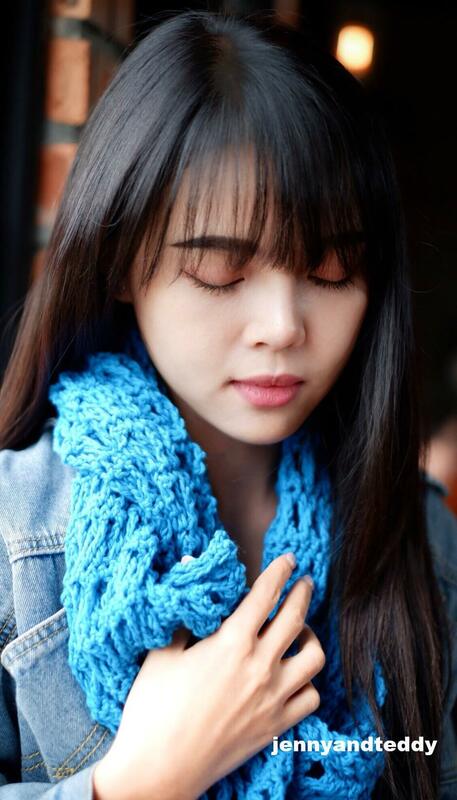 I want to make your Hello Summer breeze Cowl….how many balls of 24/7 do I need? I don’t see this info in the instructions. Thanks you! You are very talented! Hi Jennifer I used about 2-3 skein of 24/7 cotton.